I could easily go back through many of the recipes on Weelicious and rename each one of them for either Kenya or Chloe as both of my kids have inspired countless dishes I've created over the years. For instance, if you've never tried Kenya's Peach Cake before, now is the absolute perfect time of year to give it a whirl. 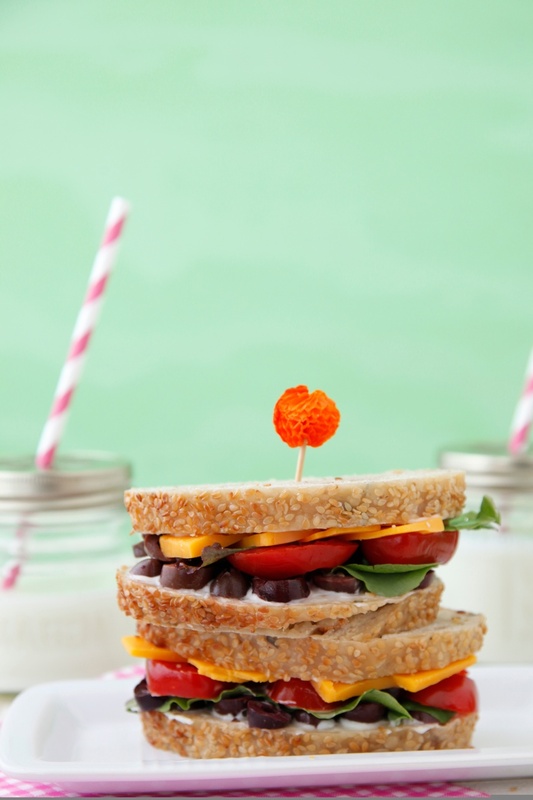 This Olive Tomato Sandwich sandwich is another dish whose time is now. It earned it's name because Chloe created it based entirely on ingredients we purchase at this time of year. We generally make lunch as a family after returning home from the farmer's market on Sundays, and we always get a loaf or two of incredible sourdough bread from the vendor we lovingly refer to as Crazy Bread Man. If you ever met this brusque baker you would immediately understand why we do. He consistently seems mad to be at the market. He is not big on small talk but he is incredibly passionate about sourdough and his breads are out of this world. Our family's favorites are the Moroccan Olive and Sesame Fig breads, the latter of which I use for this recipe. However, any good quality bread will work just fine. 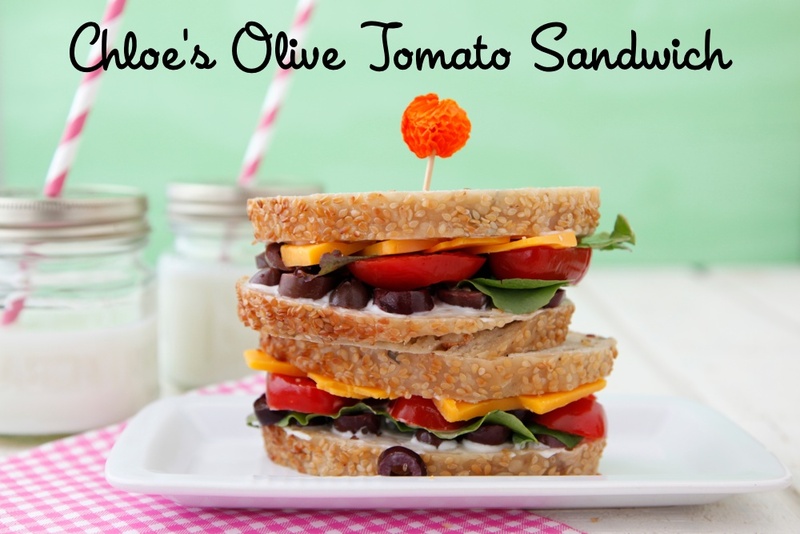 Chloe personally selected the ingredients to make this sandwich using lettuce, gorgeous Cherokee tomatoes, thick slices of cheddar cheese, and of course her favorite, black olives. When it was complete it seemed almost impossible that she would be able to put back this entire sandwich, but never underestimate the zeal of a four year old. Chloe ate every last bite and even asked me for more. Who else could I name this sandwich for?! 1. Spread the mayonnaise onto two pieces of bread. 2. Layer lettuce, tomatoes, olives and cheese.